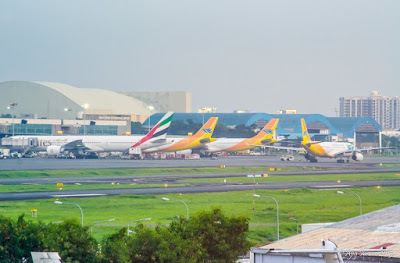 Aviation Updates Philippines - Several Philippine-based and foreign airlines announced the cancellation of some of its flights from November 16 to 20, 2015 due to the Asia-Pacific Economic Cooperation (APEC) high-profile meetings which will be held in Manila in the following weeks. 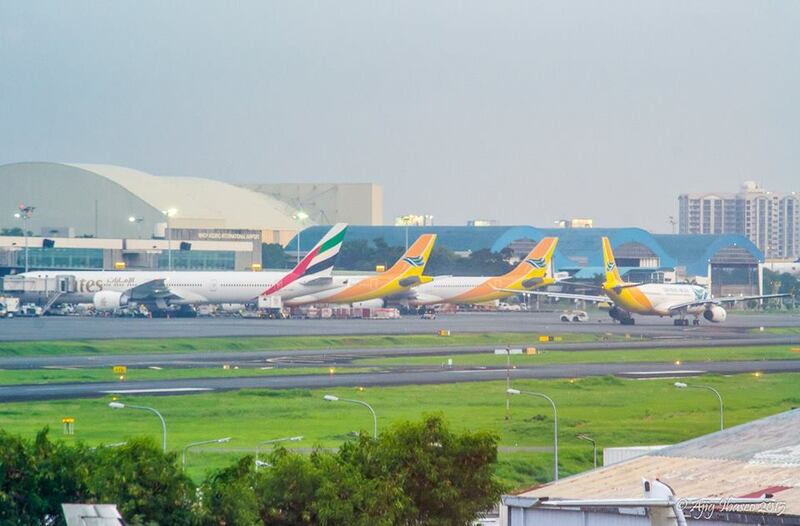 In an effort to secure the arrival and departure of special guests in the APEC week, the Manila International Airport Authority has ordered temporary runway closures within the week. In line with this advisory, Cebu Pacific flights scheduled on below dates were cancelled. We hope for our guests' understanding as there may be flight schedule changes throughout the duration of the APEC Meeting in Manila. CEB will provide updates as soon as they are available. opt for full refund or travel fund. [FLIGHT ADVISORY] In line with the APEC Economic Leaders' Meeting, there will be periodic runway closures at the Ninoy Aquino International Airport from 17-20 November 2015, as advised by the Manila International Airport Authority. Hence, selected AirAsia flights will be cancelled. We will provide updates as soon as they are available. Guests will also receive SMS and E-mail notifications based on the contact information on their booking. For more information and assistance, guests may call our hotline at +632 722-2742 from Mondays-Sundays, 7:00 AM - 10:00 PM or reach us through Live Chat at http://www.airasia.com/ph/en/live-chat.page or submit an E-Form at http://www.airasia.com/ph/en/e-form.page. Thank you and we appreciate your understanding. To check if your flight is affected, please go to Manage Your Booking. Due to the APEC Economic Leaders’ Meeting on 18 – 19 November 2015, cancellation / refund and one-time rebooking / rerouting charges will be waived for all tickets issued worldwide (irrespective of fare type) on / before 02 November 2015 for passengers travelling on above mentioned flights. - Such requests are made on / before 16 November 2015 for travel on affected flights as mentioned above; No show passenger is not eligible for the waiver. - Revised (new) travel date must be within the travel validity of the fare issued, and subject to flight availability. - The newly rebooked sector must observe and conform with the conditions of the respective fare rule, e.g. blackout dates, flight application, weekend / weekday travel, stopover charges and applicable seasonalities by collecting additional as appropriate. All succeeding rebookings / reroutings will be charged the necessary rebooking / rerouting fees (if applicable). Ang delta airlines po manila - Tokyo sa 16 ng november po cancelled din po ba? Hello April ryan De jesus! We did not receive any update about cancelled flights by foreign airlines in the following dates. We will try to inform you if your Delta flight will be cancelled. yung sa emirates po na schedule for november 17 from manila to dammam, cancelled din po ba? Hello addsguy! We did not receive any updates about Emirates. Please stay tuned. Good day April ryan De jesus! There are no cancelled Delta Airlines flights on the APEC week. Thanks! hi. what is the status of jetstar flight mnl-sin on 19 nov 2015? will it push through? yes how about the jetstar flight from nov 16-20? any updates? Cathay pacipic nov 18 bound to hongkong is delayed also??? Good morning Ms. Sheng! Cathay Pacific Flight CX935 (Hong Kong - Manila) and CX 934 (Manila - Hong Kong) will both be cancelled. For further details and information, please contact the airline management. Thanks! How about Malaysia Airlines mnl-kl nov 17-19? any updates? Good day Roanne! We did not receive updates about flights cancelled by Malaysia Airlines. Thanks for reaching us. Any updates on any cancelled arrival flights (Sin-->Mnl) for Jestar on the 20th of November? How About Eva Air November 17 manila - anchorage alaska ? is it cancelled? only delayed flight for oman air ..
Hello! Any update for Qantas QF20 from Manila to Sidney on November 18 please? Thank you. Nov 20 at 13:00 hours TG 621 thai airways Manila to Dubai bound could you please check the flight status. Your flight will fly as scheduled. Hi po ang asiana airlines po ba incheon to manila on november 17 at 11pm affected po ba sa apec? Thanks po. Please pkiupdate poh sa nov 18-19 asiana manla to incheon f cancel??? Tnx po..